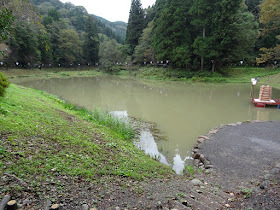 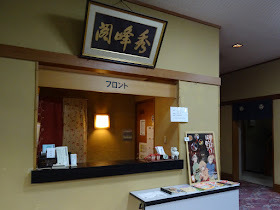 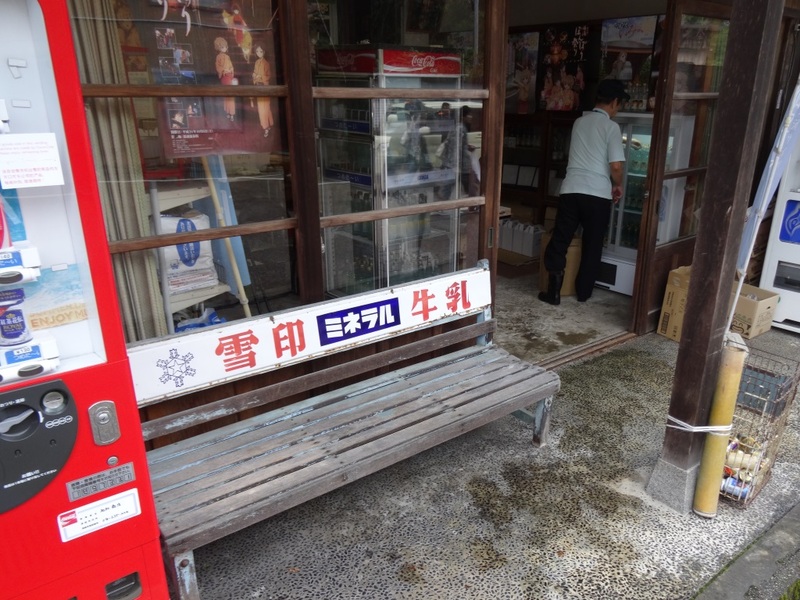 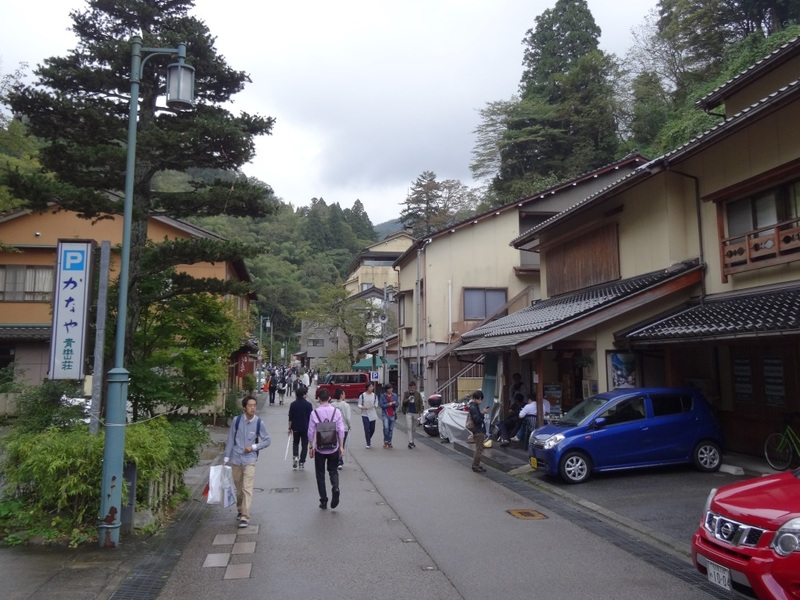 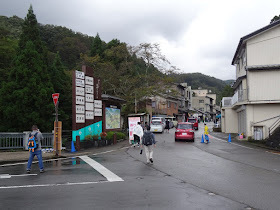 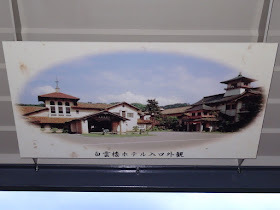 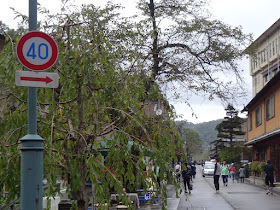 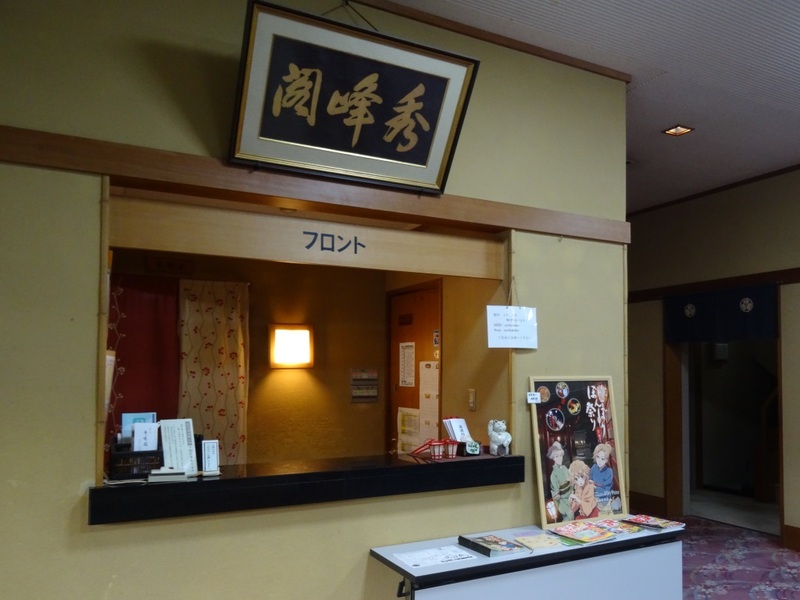 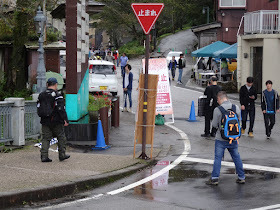 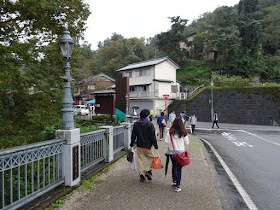 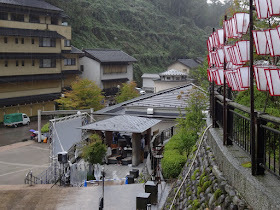 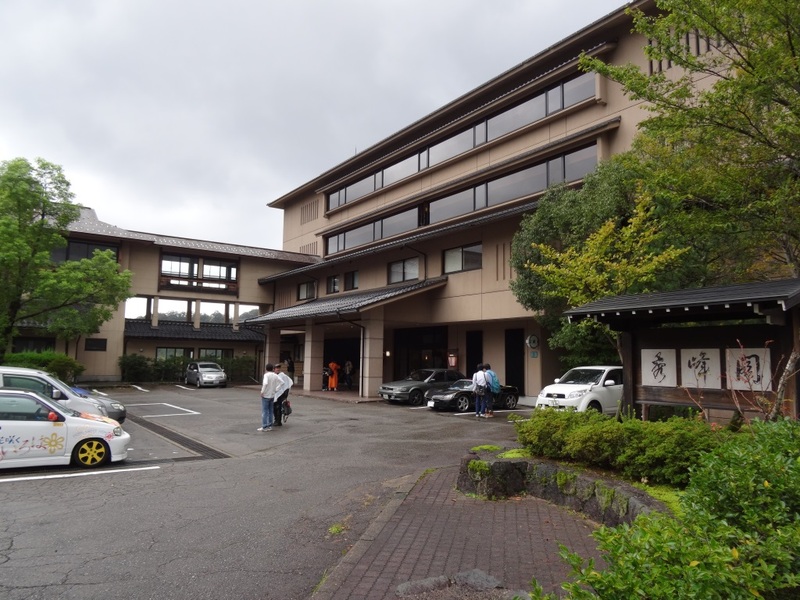 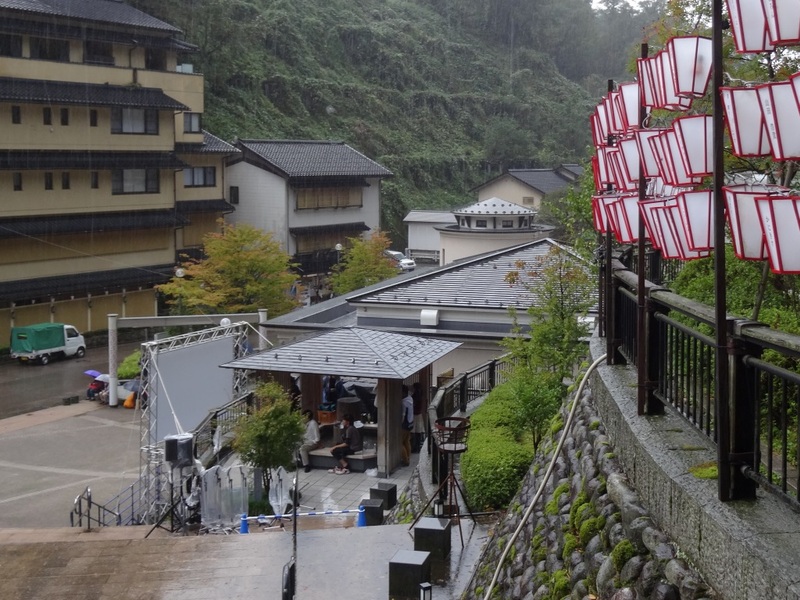 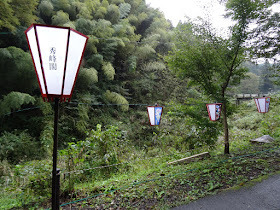 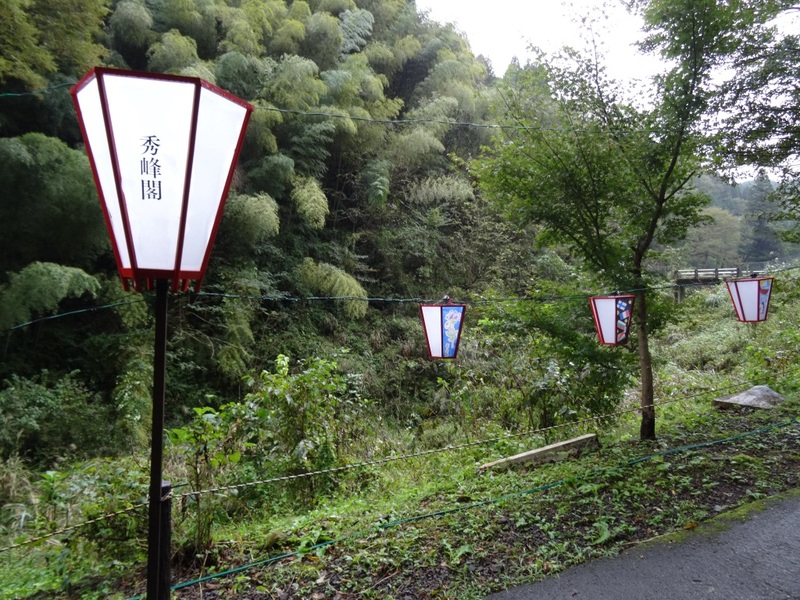 Part 2 of my visit to Yuwaku Onsen which was used as a model for Yunosagi Onsen in Hanosaku Iroha. 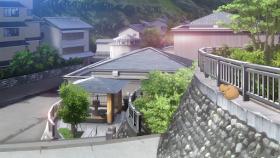 This post mostly contains comparison shots. 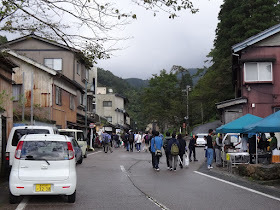 If you want to see the itasha decorated cars, food and various goods I saw while there check out part 1. 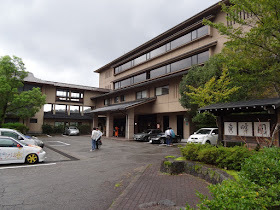 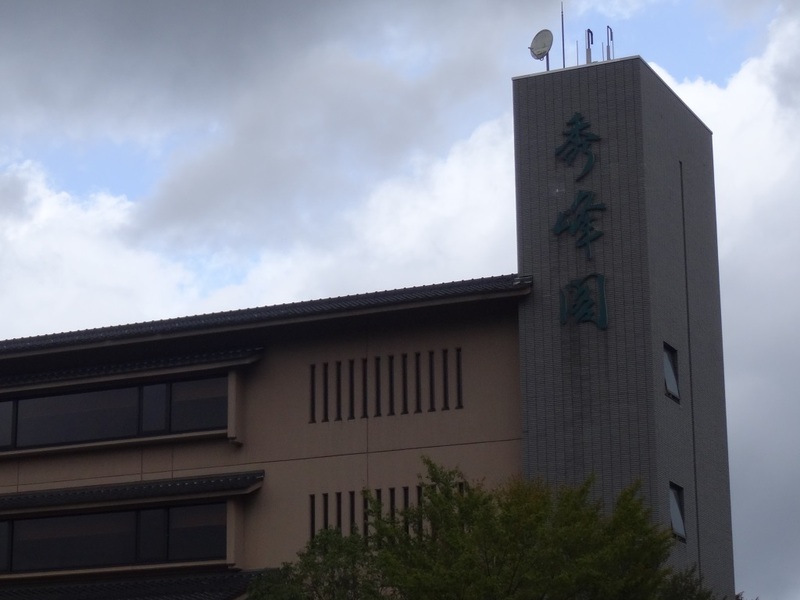 Another picture of Syuhokaku, which I also posted a picture of in part 1. The insides doesn't match at all. 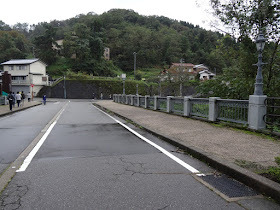 If you move towards the city center you'll get to this bridge. 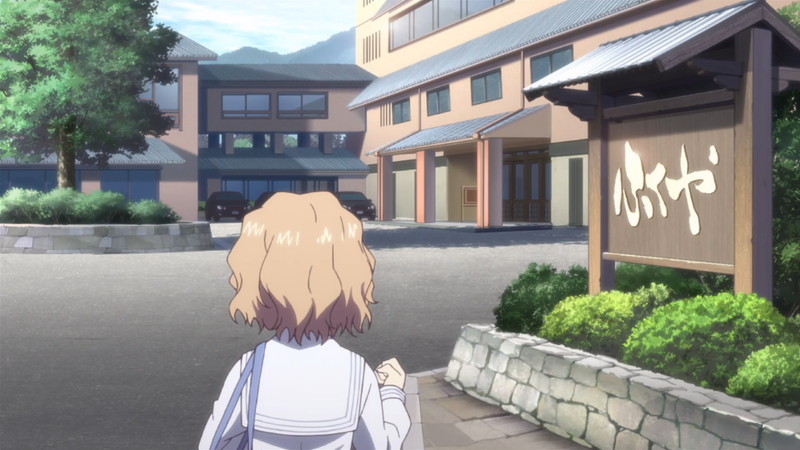 The building to the right of Yuina is covered by lots of trees in real life. 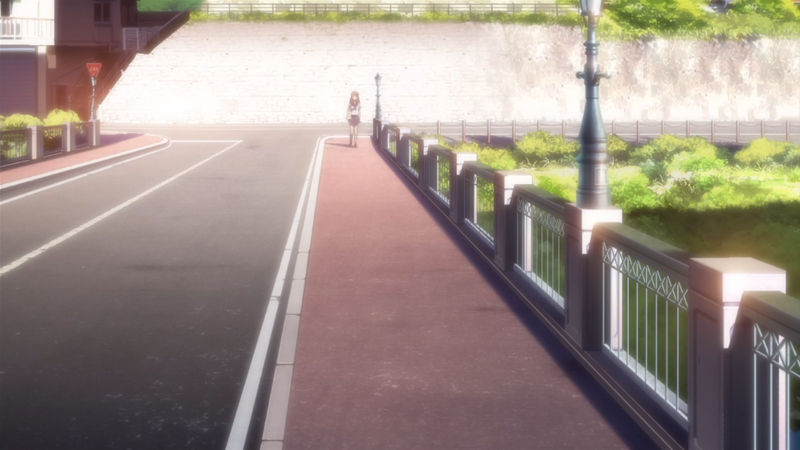 At the end of the bridge there's a map of the area. 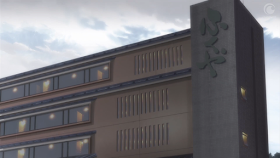 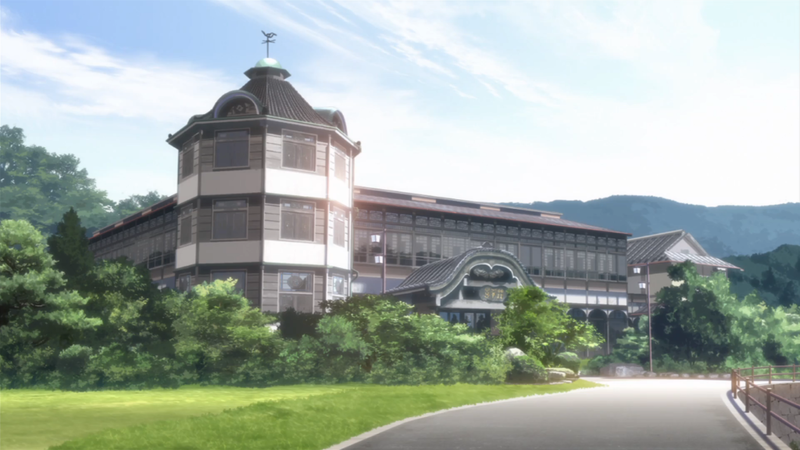 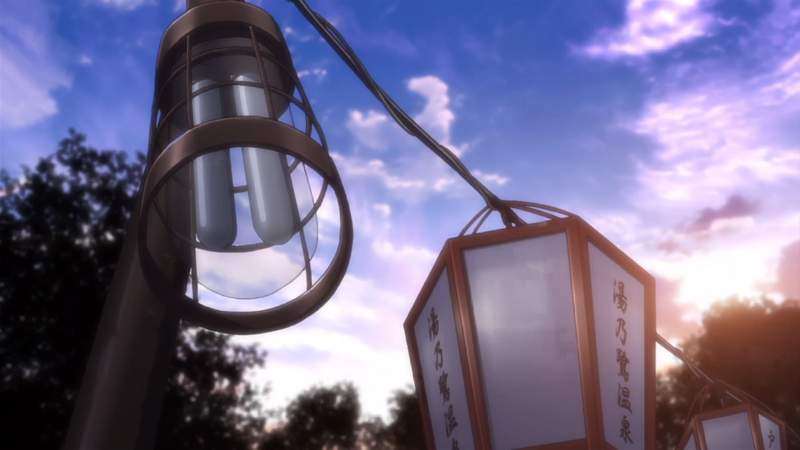 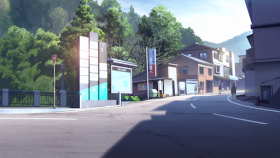 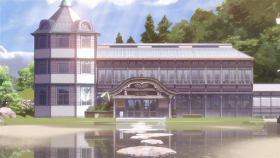 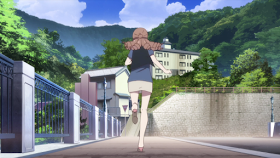 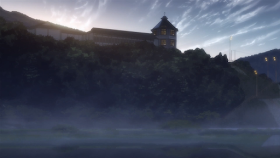 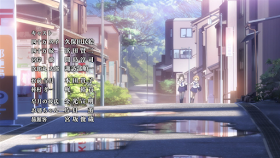 Ohana and Minko runs past this place in the first OP. 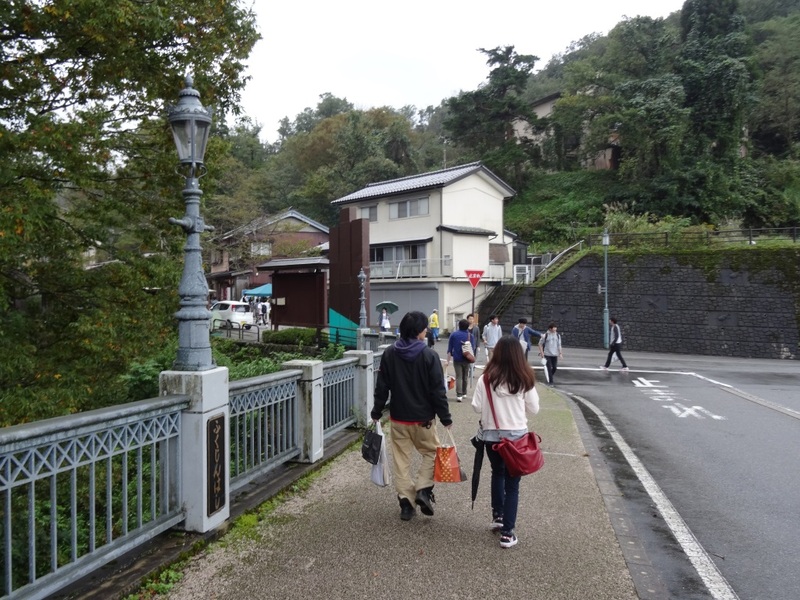 They started running towards here from further up the street. 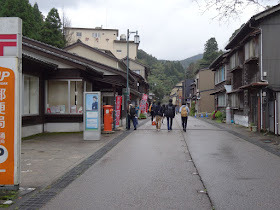 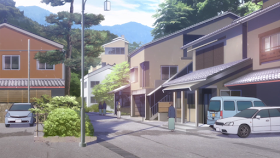 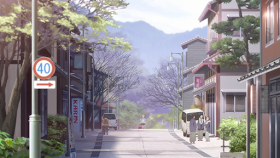 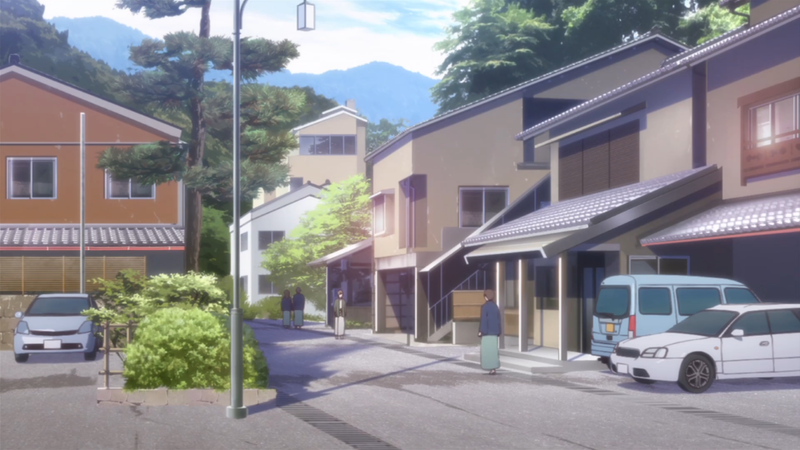 Along this street is also where we first see Ohana in Yunosagi Onsen. 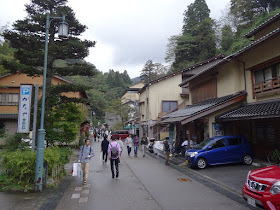 Another shot along this street. 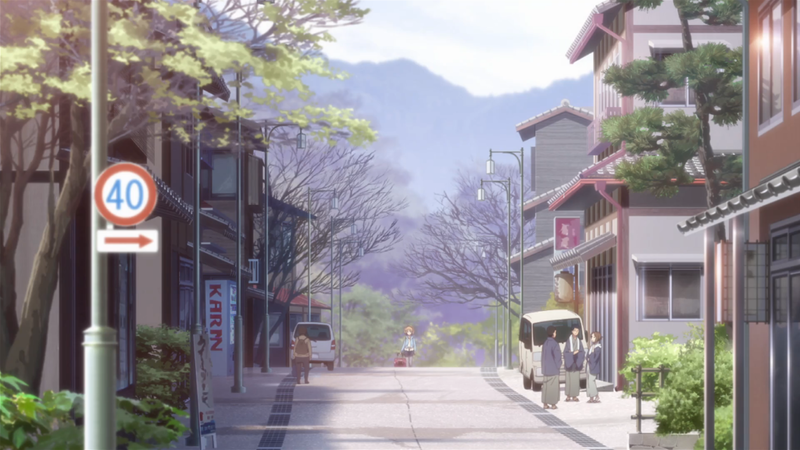 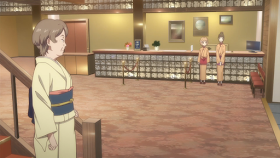 And you can also find this store that was shown in the first ED here. 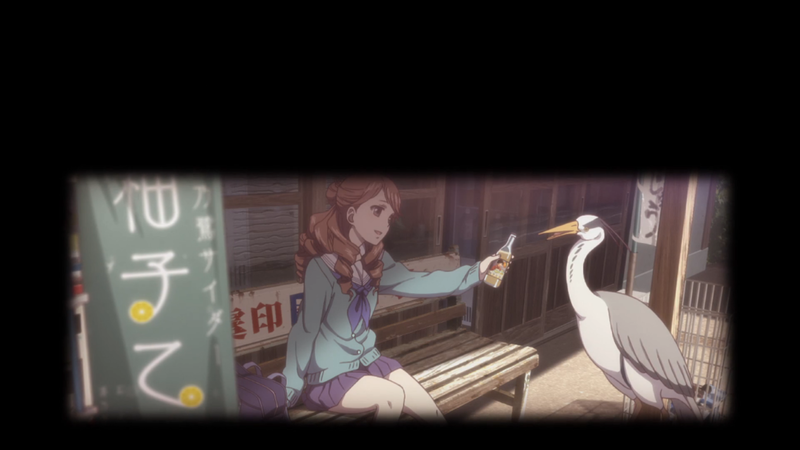 I had one of these Yuzuotome yuzu drinks while sitting on the same bench as Yuina in the previous picture. 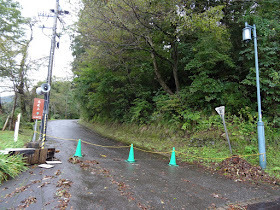 Back near the place with the map there's also this fork in the road. 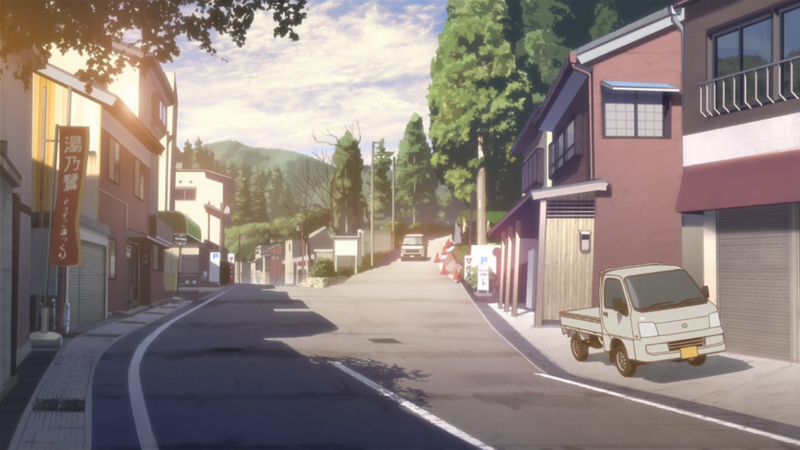 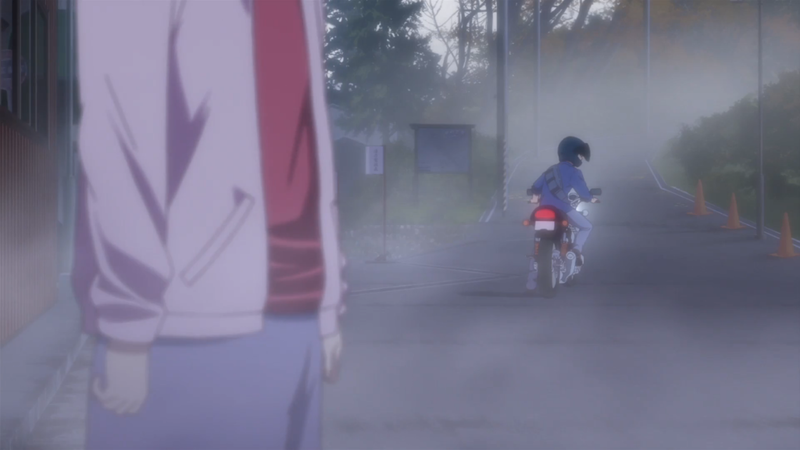 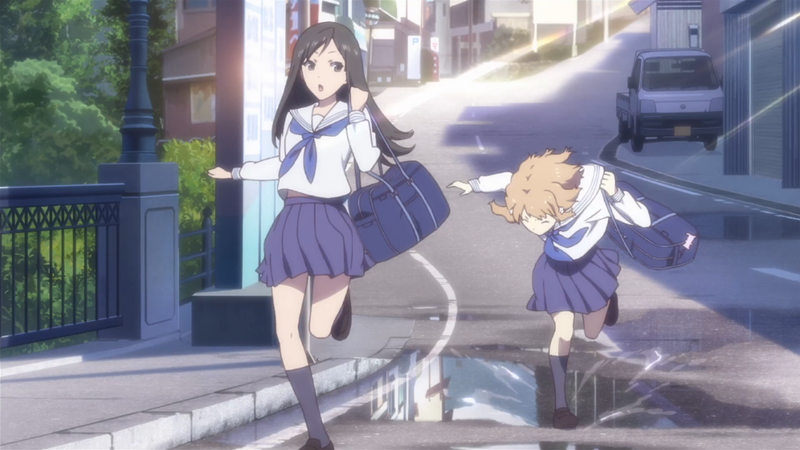 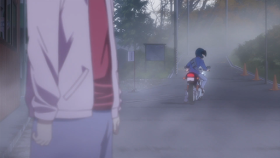 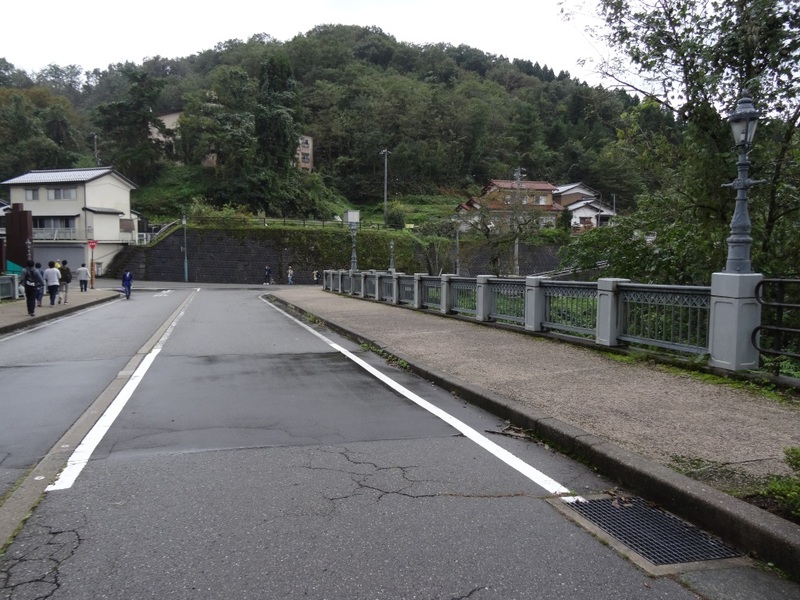 The right path in the forked road leads to where Kissuiso is in the anime. There's no Kissuiso up here in real life. 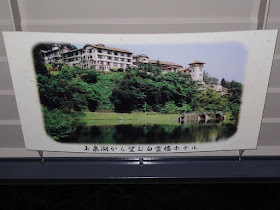 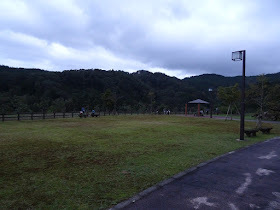 There used to be a hotel called Hakuunro Hotel here, but it went bankrupt in 1999 and was torn down in 2006 and it's been replaced with a park area. 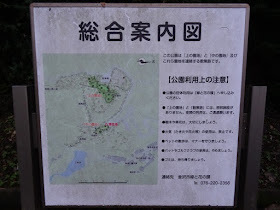 Map of the park area. In the roof of the pavilion in the shot of the park area there's some pictures of Hakuunro Hotel. 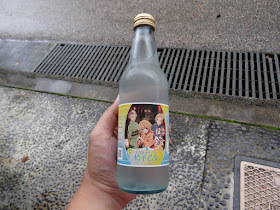 It didn't really look like Kissuiso. This shot of the hotel as seen from Lake Gyokusenko is a tiny bit similar though. Lake Gyokusenko is also where they perform parts of the Bonbori Festival. 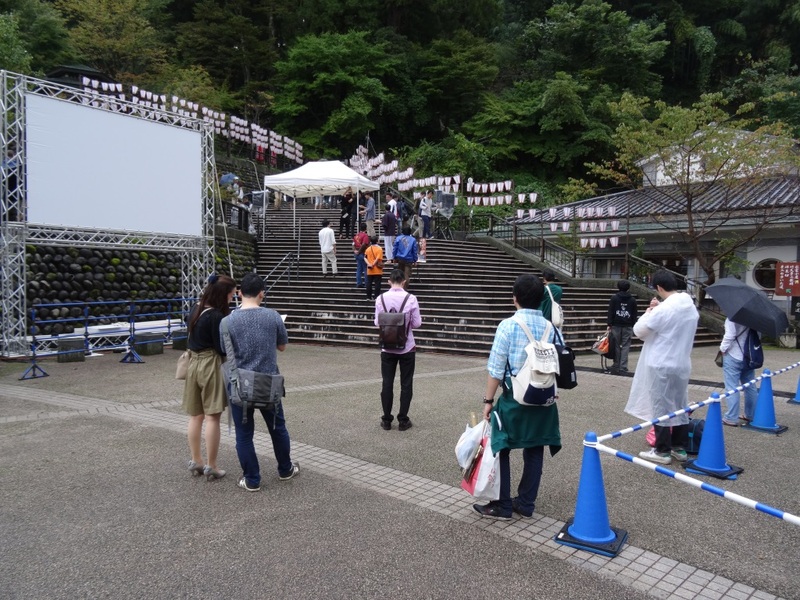 Parts of the Bonbori Festival is also held near these stairs. Reverse shot from the stairs. 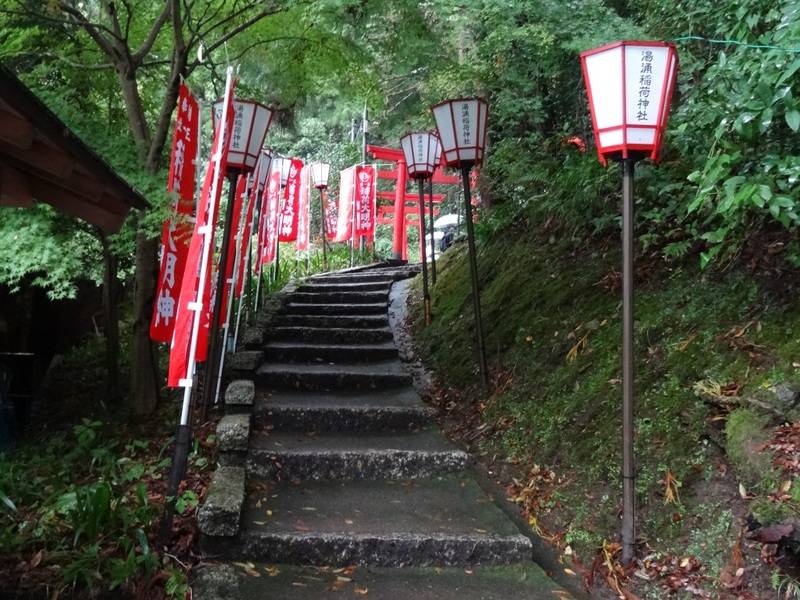 The stairs leads even further up. 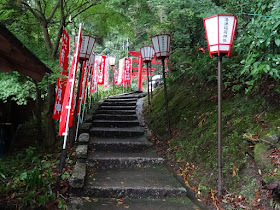 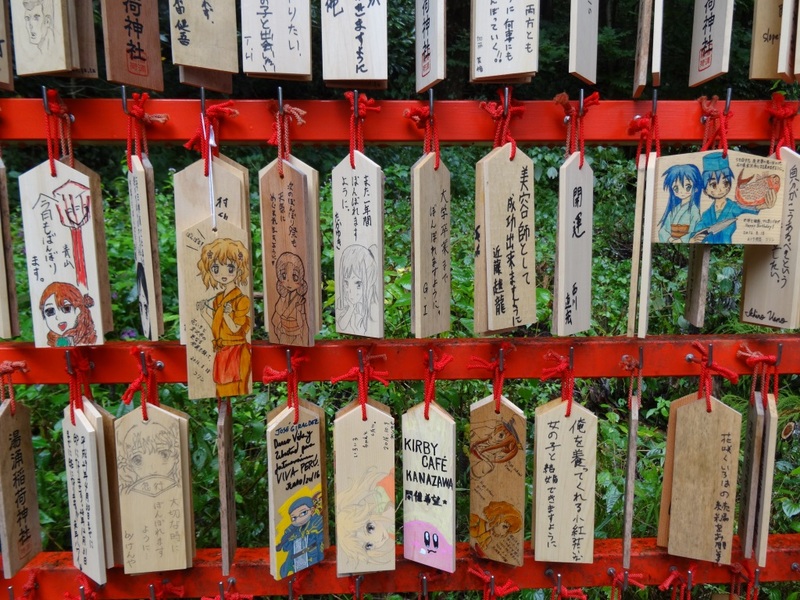 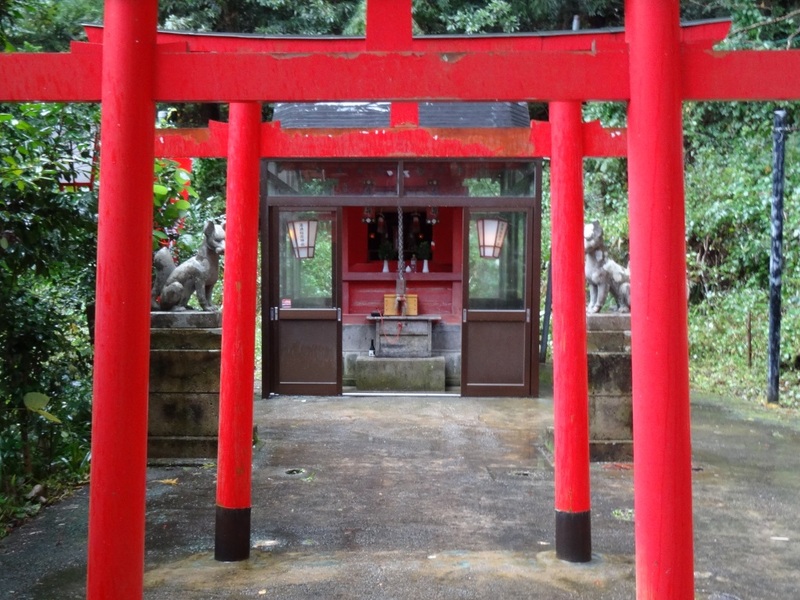 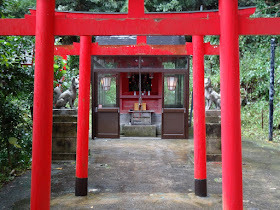 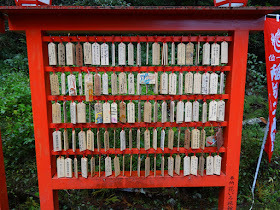 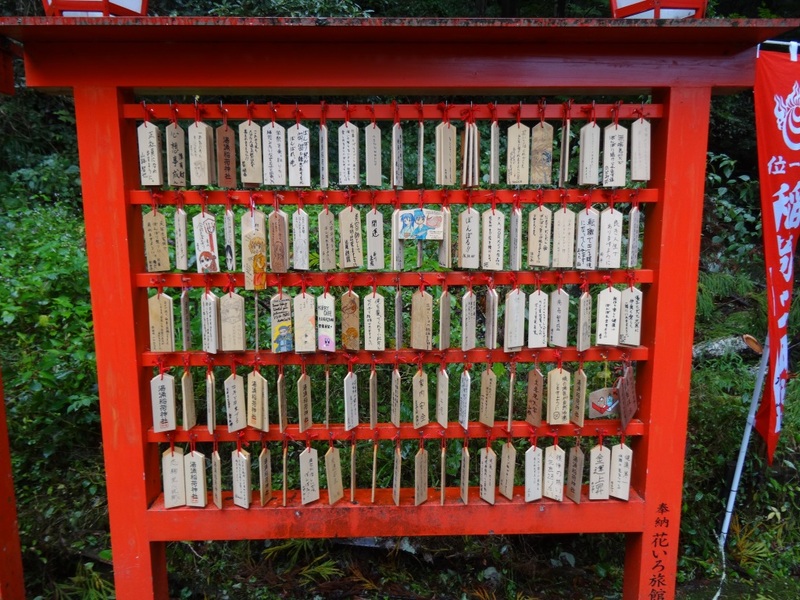 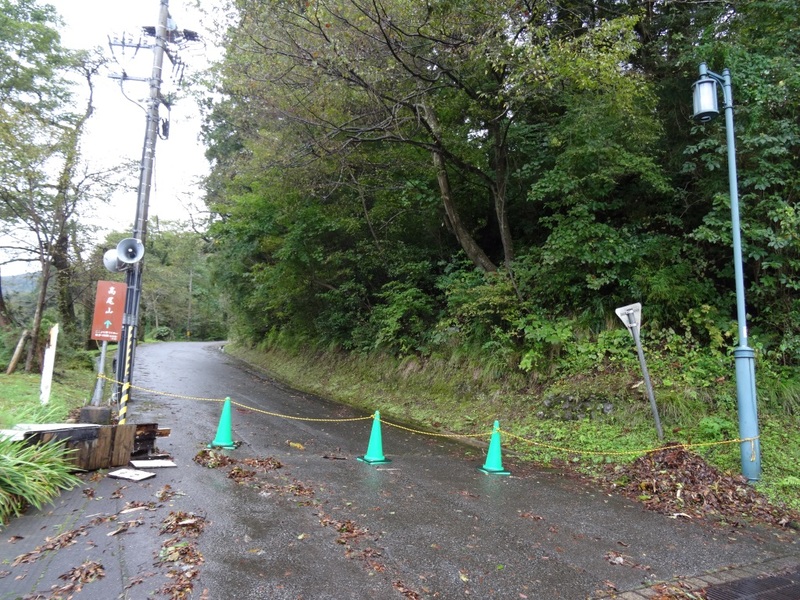 Until you get to Yuwaku Inari Shrine. 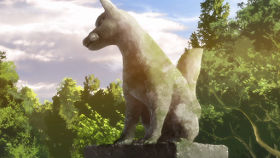 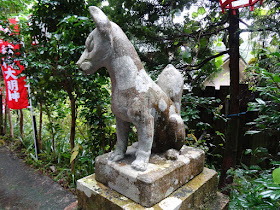 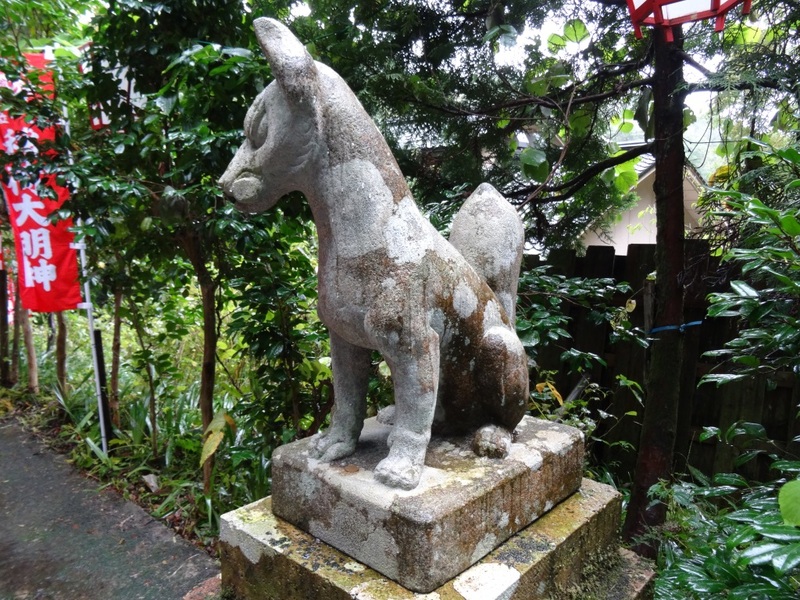 Fox statue at the shrine. 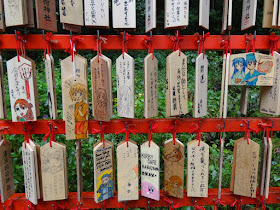 Lots of anime ema and even a Kirby one for some reason. 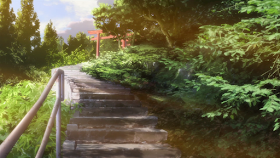 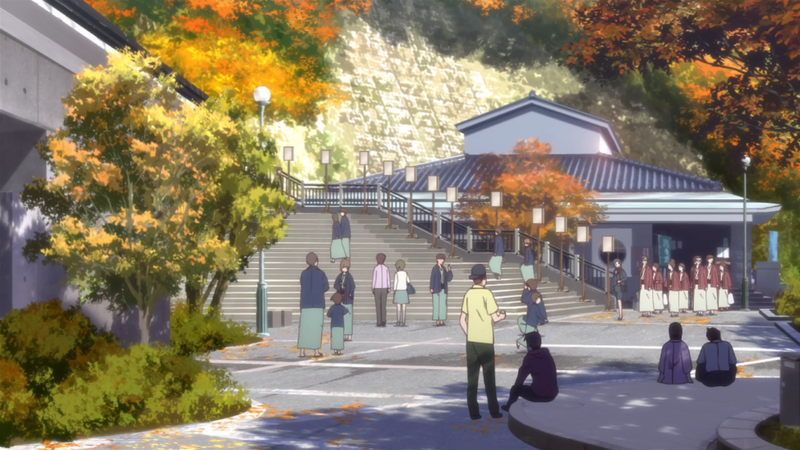 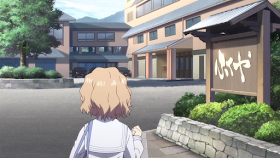 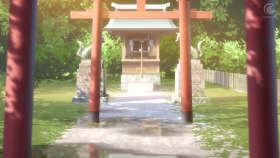 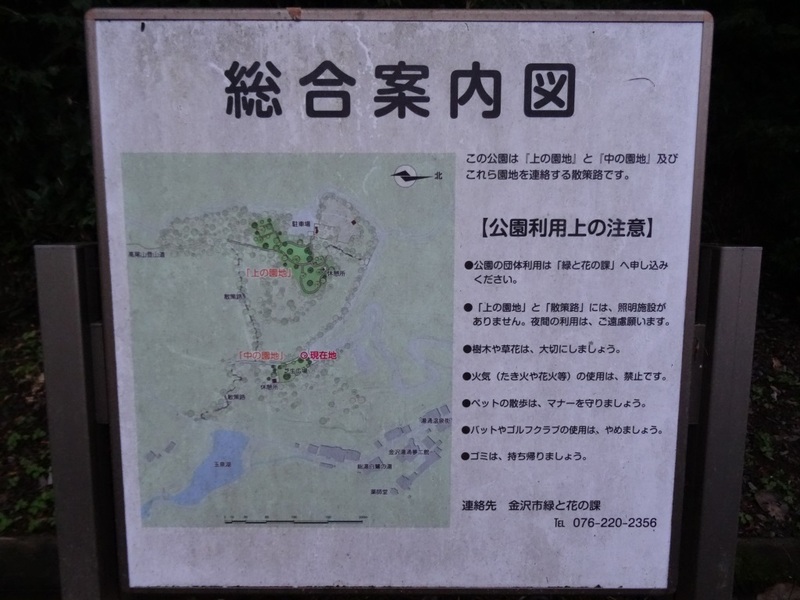 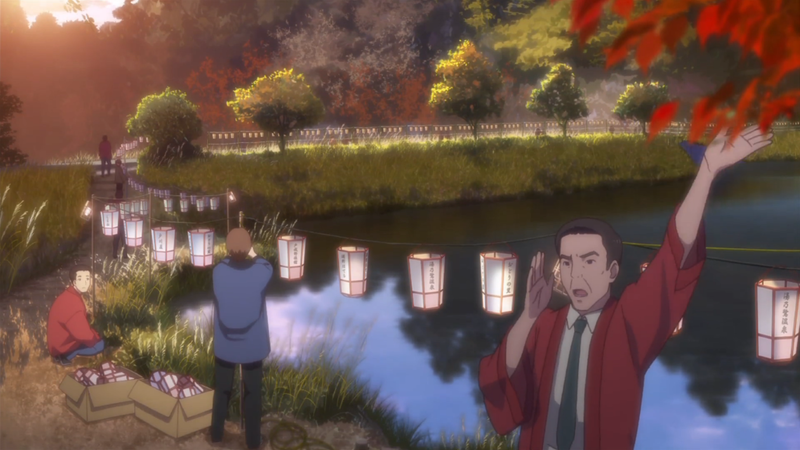 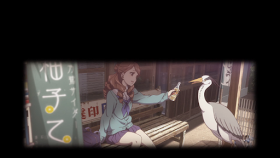 I've marked a path from the park area where Kissuiso was in the anime to the shrine in the map below. 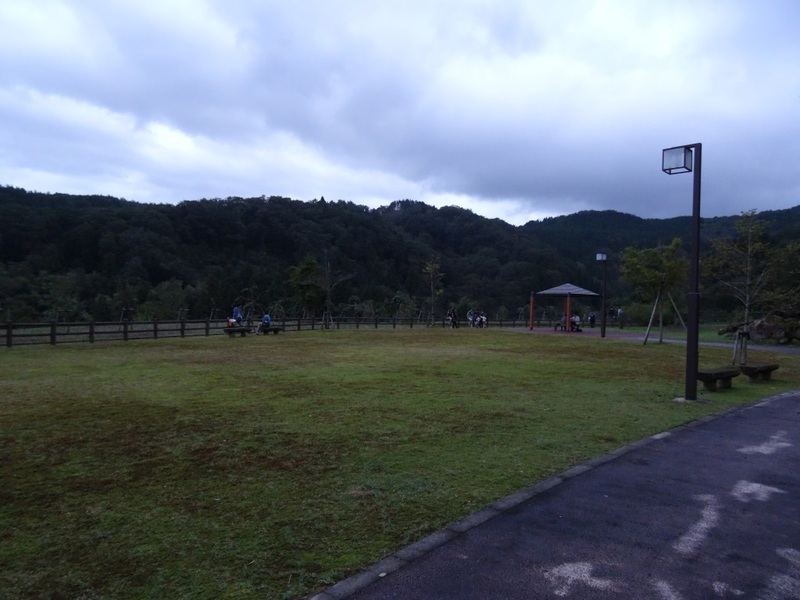 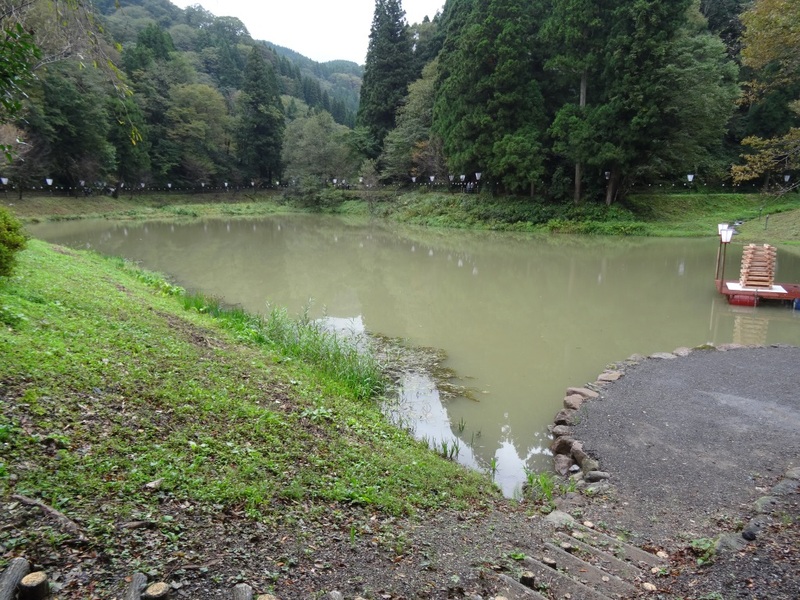 This location was visited on 2016/10/09.